Actually this stuff is made for a Simple(labs) competition. 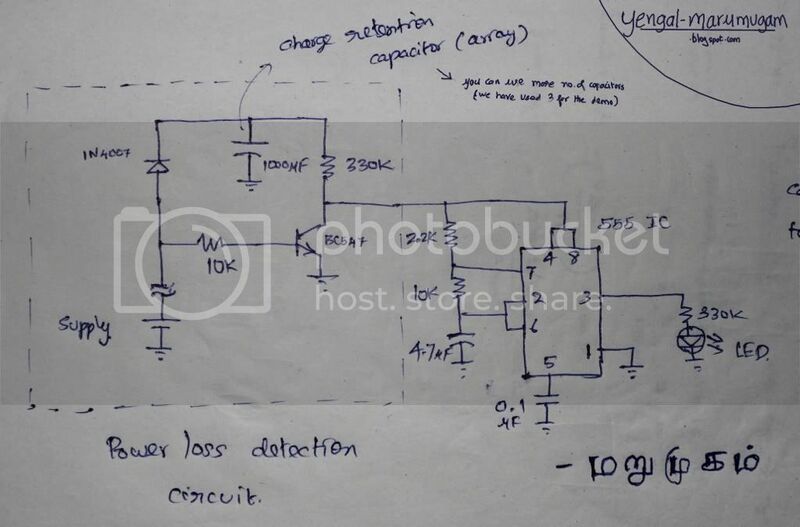 Problem statement is to indicate the power loss by blinking an LED after the power goes off. We thought of storing the charge in capacitor, like everyone. It seem simple at first, complex then, finally pretty easy. Actually the 555 timer circuitry operates in Astable Mutlivibrator Mode to generate a pulse. The pulse is used to drive the LED - On/Off. The supply to the 555 is supplied by the Charge Retention Capacitor (array). It is nothing but a ordinary capacitor of high capacitance value. 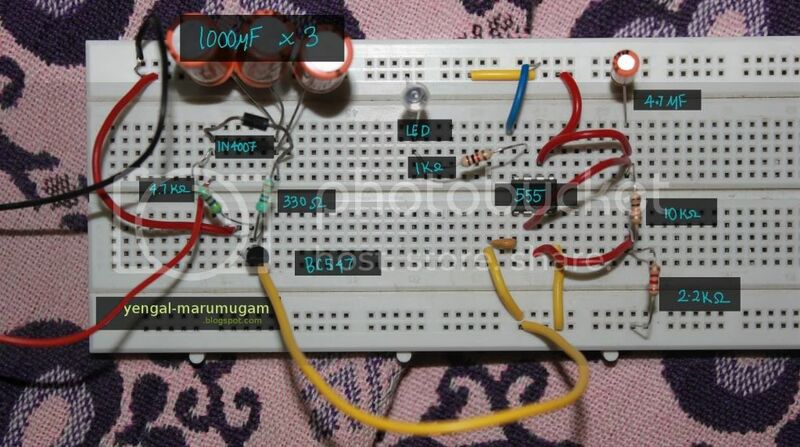 Diode is used to prevent the transistor to be biased from capacitor. 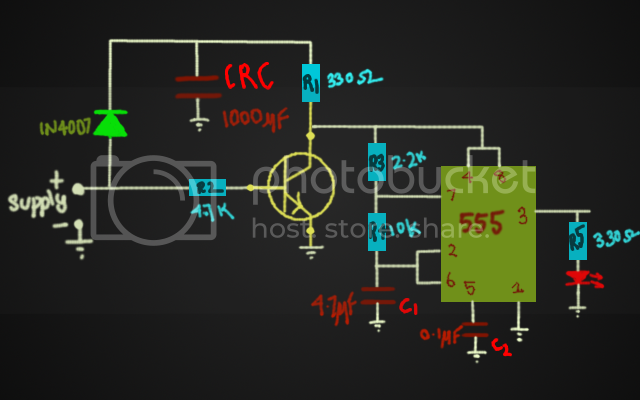 The transistor goes Off with the power, so the charge from Capacitor is used to run 555 timer circuitry.